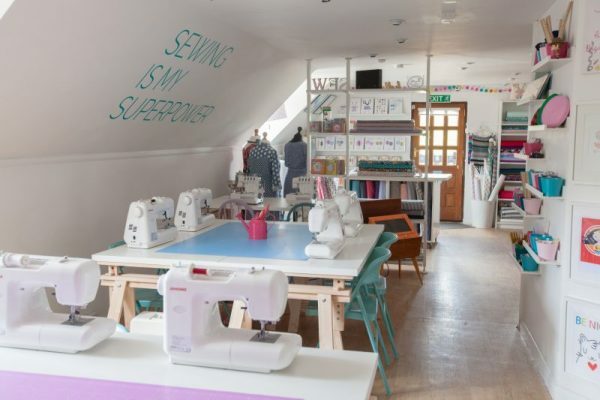 Learn to sew a shift dress at our Wokingham studio - perfect for beginners! This sewing class will help you sew up a classic wardrobe staple – the simple shift dress. A chic, elegant shape, the shift dress is the perfect dress to develop your sewing and dressmaking skills. 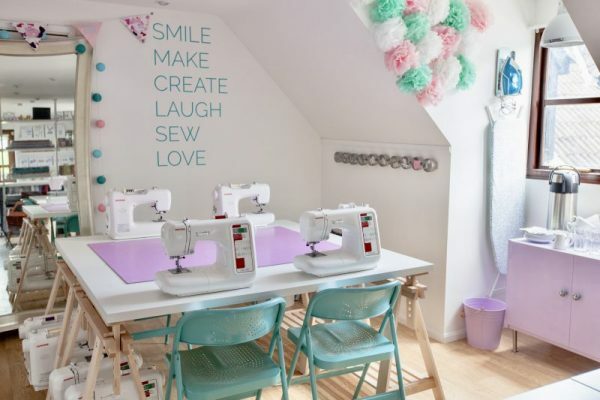 You’ll learn how to sew bust darts, set in sleeves and finish a neckline with bias binding and and insert an invisible zip. The class includes expert instruction, use of the Janome machines, tools, threads etc, your own copy of the shift dress pattern so you can make again at home plus tea, coffee and lots of biscuits! For version 2 you will need a 12″ – 16″ invisible zip. The dress pattern includes UK 6 – 26. If you fall outside of these measurements please contact us prior to booking as we may be able to grade the pattern for you.